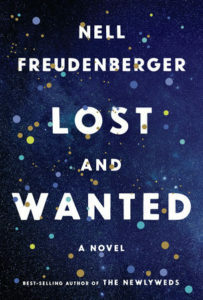 The following is from Nell Freudenberger's novel Lost and Wanted. The news of Charlie's death resurfaces a complicated web of feelings for Helen, a physicist who had been her college roommate. Nell Freudenberger is a winner of the PEN/Malamud Award and the Sue Kaufman Prize for First Fiction from the American Academy of Arts and Letters. A recipient of a Guggenheim Fellowship, a Whiting Award, and a Cullman Fellowship from the New York Public Library, she is the author of The Newlyweds, The Dissidents, and Lucky Girls. In the first few months after Charlie died, I began hearing from her much more frequently. This was even more surprising than it might have been, since Charlie wasn’t a good correspondent even when she was alive. I should say right away that I don’t believe in ghosts—although I’ve learned that forty-five percent of Americans do—at least not in the sense of the glaucous beings who appear on staircases, in abandoned farmyards, or on the film or digital records of events that absolutely did not include, say, a brown dog in the lower left-hand corner, or a man standing behind the altar in a black hood. Charlie died in Los Angeles, on a Tuesday night in June. I was in Boston and I didn’t know; we hadn’t spoken for over a year. People talk about a cold wind, or a pain in the chest, but I didn’t feel anything like that. On Wednesday at about noon, my phone rang. Or rather, I happened to be looking through my bag for my wallet, and I saw that the screen was illuminated: “Charlie.” I grabbed the phone and answered before I could think any of the obvious things, such as why pick up right away or it’s been more than a year or what are you to her anymore? I heard a shuffling, something lightweight falling to the floor. Empty boxes, maybe. I said her name again, and then I lost the call. I called her back, but no one picked up. I felt foolish and unaccountably disappointed. I vowed that if she tried again, I wouldn’t pick up. I would wait a few days before deciding whether I even wanted to call her back. Excerpted from Lost and Wanted. 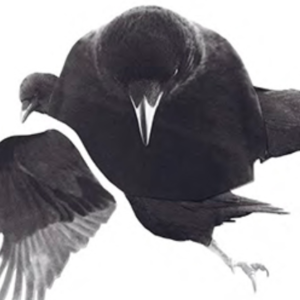 Copyright © 2019 by Nell Freudenberger. All rights reserved. No part of this excerpt may be reproduced or reprinted without permission from the publisher.